Nandamuri Taraka Rama Rao (Telugu: నందమూరి తారక రామారావు) (born Nimmakuru, Krishna District, Andhra Pradesh; 28 May 1923 – 18 January 1996), also known as NTR and fondly referred to as Anna Garu, was an Indian film actor, director, producer, and a politician. He first gained popularity in the early 1950s as "messiah of the masses" and has become one of the most prominent figures in the history of Telugu Cinema.He made his debut as an actor in Mana Desam (1949) a Telugu social film directed by L. V. Prasad. He then continued to work in Telugu cinema, often portraying antagonistic characters and gradually rose to acting in lead roles. He is best known for his portrayals of Hindu deities, especially Lord Krishna and Lord Rama. "NTR" starred in over 320 Telugu films, that made him a mythic figure among the Telugu-speaking people of Andhra Pradesh. 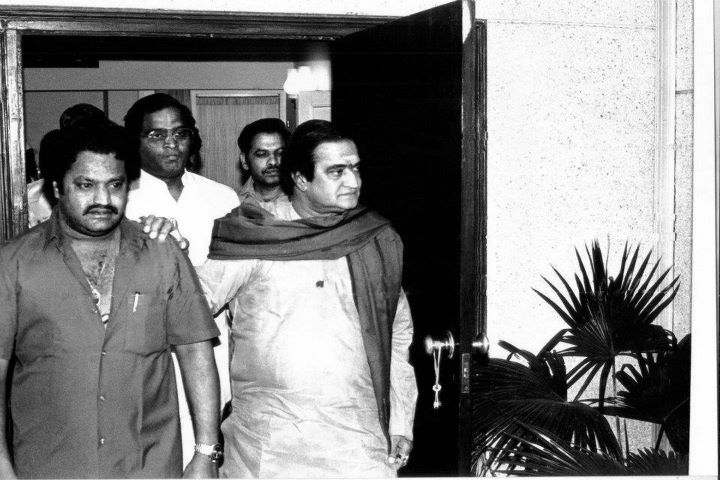 He founded the Telugu Desam Party in 1982 and served three terms as Chief Minister of Andhra Pradesh between 1983 and 1994. He was awarded the Padma Shri by the Government of India in 1968, recognising his contribution to Telugu cinema. After his career in movies, Rao became a political activist and a political party leader. He is known as an advocate of Andhra Pradesh's distinct cultural identity, distinguishing it from Madras State with which it was often associated. Besides Telugu, he has also acted in a few Tamil and Kannada films.